The Lokk-Latch pro is a versatile gate lock with models available for metal, wood and vinyl gates. Call us for more information regarding installation – Nexus Locksmiths Waverton the 24 hour specialists. The design offers a high level of security incorporating a self-locking function and convenient external push button access. Lokk-Latch pro has a keyway on both sides for added security so that it can be locked from either side. When the gate closes it locks automatically, a sophisticated latch compared to other gate locks. The construction is of a super strong glass polymer and stainless steel that offers superior weather resistance. 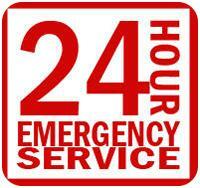 Information courtesy of Nexus Locksmiths – For a fast emergency response 24/7 Call our Waverton Locksmith now! Fully rekeyable it means that it can be matched to most keys for added convenience. It suits gates with a square post ranging in thickness from 38 – 127mm and will never rust. Other products by Magna include the Lokk-latch LL1ARP which is a lockable general-purpose gate latch made of the same glass reinforced polymer. It lacks the external push button access but comes with an optional external access kit. Call Nexus 24 hour Locksmith Waverton for pricing info on this lock. Without the kit this lock is only operable from the inside making it suitable for garden gates where access from outside is not required. Like the pro model it automatically locks when the gate closes. It uses a common key, the same as most letterboxes in Australia so can be keyed alike to your letterbox for added convenience. The Z-lokk is a magnetic gate lock fitted with dual lock cylinders designed for picket style metal gates. It is quick and easy to install and it’s clever design allows for vertical and horizontal adjustment, even after installation. The lock is rekeyable to suit most keys and is designed to fit square metal gate frames up to 63mm deep. For convenience and security it can be locked from both sides and is equipped with lever handles for comfortable operation. Like the LL1ARP and the PRO model this lock will never rust. It is made of the same high quality glass reinforced polymers. 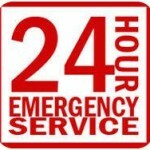 Nexus emergency Locksmith Waverton highly recommend this lock as a cost effective solution. The Magna Side pull gate latch is suitable for garden gates and fences. It isn’t key lockable and operates on a side pull action. With magnetic triggering there is no resistance to closure. Its quick and easy to install and can be fitted to a wide variety of gates including wood, metal or vinyl. In time as gates drop it becomes necessary to adjust the lock, the Magna side pull has a handy built in feature enabling easy adjustment of the catch both horizontally and vertically to counter gate drop. This model suits gates with round or square posts. Where child safety is a concern Magna latch offers a top pull model designed to keep the release high up, out of reach of children. Like the other models in the Magna range this lock has magnetically triggered latching and does not jam during closing. It can be installed to any gate where child safety is of high importance and is most commonly used on swimming pool gates. It is key lockable for extra protection. This lock has been tested to meet pool barrier and safety initiatives and is easy to install and maintain. It uses the same key as most letterboxes and can be keyed alike to your letterbox. As gates drop over time it is necessary to adjust the lock, the top pull model offers an adjustable catch that moves both horizontally and vertically just by loosening a couple of screws – a simple DIY fix. Tested to 400,000 cycles it is the winner of a prestigious Australian design award.